Holy Hell! Ford Is Making a Hybrid Mustang and F-150. Ford just kicked off 2017 with both a bang and a jolt. Included in a sweeping list of announcements ranging from the future of self-driving cars to wireless charging of electric vehicles, is an upcoming car and truck no one truly expected to ever exist: By 2020, you'll be able to buy a hybrid Mustang... and a hybrid F-150 pickup. It's shocking, I know. "Hybrid" goes together with "Mustang" or "F-150" about as well as "friendly" goes with "politics." Sit down, and take a deep breath. Relax, and realize that this is actually a good thing for enthusiasts and daily drivers. It would be very easy for Ford to simply put one of its existing hybrid powertrains in the new Mustang and F-150 and say, "Look! A hybrid!" while ignoring the reason both vehicles have endured for decade after decade: performance. That won't be the case, though. Ford knows that any F-150 worth its salt must be able to tow a trailer with ease, and as for Mustangs, the less that's said about the economical Mustangs of the mid-to-late 1970s, the better. Thus, both models are unofficially slated to be anything but bargain-basement. Ford was very specific about mentioning low-end torque, which is hugely beneficial from a performance standpoint, both for acceleration and for towing. Translation: These are going to be hybrids you'll actually want to own, instead of feeling an obligation to do so. 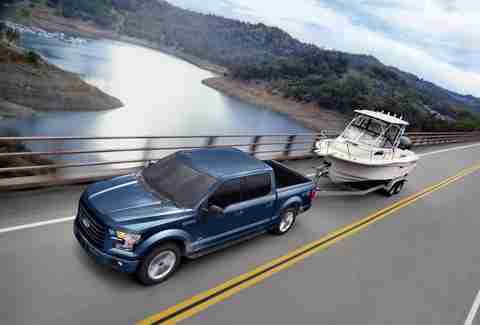 In addition to the aforementioned towing capacity -- which, again, is absolutely critical -- the F-150 hybrid will double as a power generator. That's exactly the kind of feature that a bona fide work truck would need to remain competitive, and a clear signal that the company is taking the truck's electrification seriously. Considering that the F-150 is the best-selling vehicle on the planet by a considerable margin (Ford sold 800,000 new F-Series trucks in 2016), it's entirely possible that it's about to give birth to the best-selling hybrid. 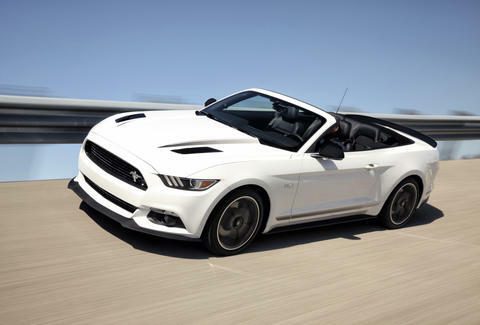 Ford is promising V8 power for the Mustang -- though whether that means a hybrid V8 (we can hope!) or a total output that rivals the current Mustang GT (most likely, and still good) remains to be seen. Regardless, the implication is clear: You'll be able to afford a 400+ hp hybrid car by 2020. 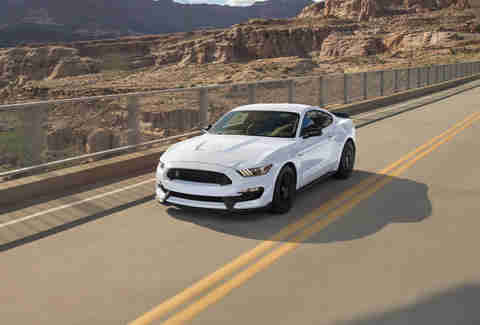 If the first Mustang was noteworthy for bringing fun driving to young individuals straight out of college, the Mustang hybrid looks poised to do the same for ecologically friendly driving. Hybrids are garnering an ever-increasing share of the market, and that trend is certainly going to continue. 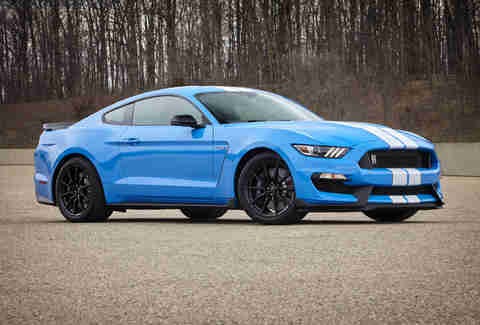 Unless someone pips Ford to production, Mustang will likely become the first true hybrid performance car for the masses when it lands in dealerships in 2020. A few years ago, the world was absolutely stunned when McLaren, Ferrari, and Porsche unveiled the P1, LaFerrari, and 918 -- hypercars with astronomical performance, pricing to match, and hybrid powertrains that were developed more for exhilaration than the quality of the environment. It was a watershed moment for electrification: When hybrid drivetrains offer advantages not only to the environment, but to everyday driving situations, nearly everyone wants one, if they can afford it. Whereas enthusiasts have resisted hybrids in the past, they've done so largely because there was zero performance gain associated with them. Consumers haven't fully bought into hybrids in the past, largely because hybrids weren't up to the task of powering vehicles as effortlessly as gasoline or diesel. But a high-performing hybrid Mustang or F-150 would represent a sea change for hybrids, no longer forcing consumers to choose between performance and what's better for the environment. If these new models are successful, you'll see almost every vehicle go that route within the decade. Aaron Miller is the Cars editor for Thrillist, and can be found on Twitter and Facebook. Give him a torquey, lightweight hybrid, and he'll be a happy camper.